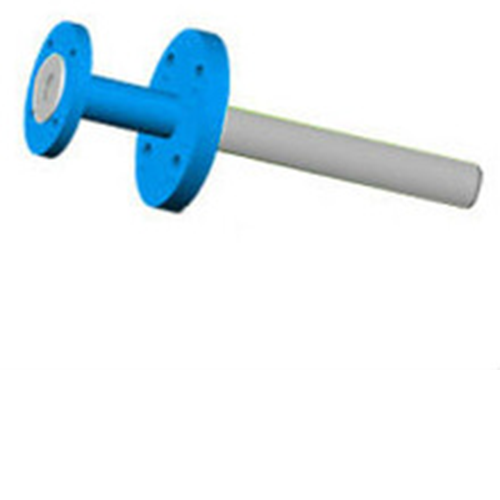 Dip pipes are used to deliver or withdraw liquids or gases to and from Reactor Vessels, Columns and Storage tanks. These dip pipes can be supplied in curved units and in single & double flanged units. Dip pipes are made out of ASTM A 106 B Seamless Carbon steel pipe. Flanges are of A 105 Forged Steel. Other pipe material can be supplied as per the requirements. Sparger is made out of solid PTFE extensions.